Last year, the federal appropriations bill for 2015 renewed a ban on the use of tax dollars for inspections of horse slaughterhouses, keeping the vile horse slaughter industry from operating anywhere in America… for a time. 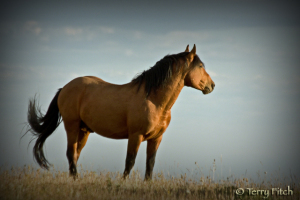 This September, that ban expires, putting horse slaughter facilities once again in a position to potentially reemerge in America, and putting the burden on Congress to reinstate its temporary halt. But while renewing the ban every year stops slaughterhouses from opening on U.S. soil, it cannot prevent American horses — approximately 150,000 every year — from being legally trucked to slaughterhouses in Mexico and Canada.